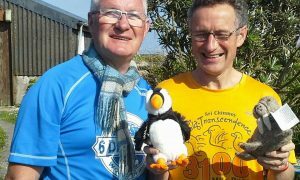 The first British Athletics road race championships of 2013 are set to be staged at Perth in Scotland on Sunday 31st March with the SELF TRANSCENDENCE 100km race over the classic ultra-distance. Many of Britain’s top ultra distance runners will converge on Scotland’s Fair City to challenge themselves over 42 laps of the beautiful North Inch Park on the banks of the River Tay. 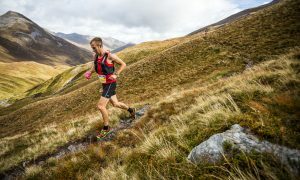 As well as the national titles of the UK and Scotland, the event incorporates the ANGLO CELTIC PLATE 2013 the annual home countries ultra international. Leading runners will also be aiming to achieve qualification times for the IAU world 100km championships to be held in Durban South Africa in the Autumn. 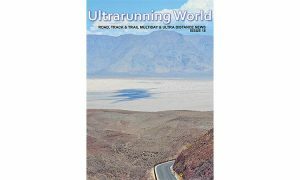 Despite the growth in participation in ultra distance events especially on the trails, the 100km distance is still regarded as the blue riband of the ultra running calendar where the leading men will race at close to 7 minute miles (3 hour marathon pace) for approximately 7 hours, with the leading ladies about an hour slower. 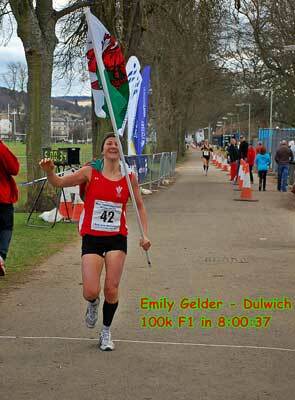 Emily Gelder (Wales/Dulwich Runners) is a clear favourite to claim a fourth win as she was victorious at Boddington in 2010 and when the championships were last held at Perth in 2011 and also at Redwick in Wales in 2012. She is treating the event as a stepping stone to her participation in the IAU world 24 hour championships in Holland in mid May. Englands Isobel Wykes (Truro RC) looks set to be her main challenger while defending Scottish champion Issy Knox (HBT) will also be determined to defend her Scottish title too. Scotland’s men are led by the experienced Dave Gardiner (Kirkintilloch) and Marco Consani (Garscube), while giving debuts to Donnie Campbell (Glasgow), Ian Symington (Calder Valley) and Paul Giblin (Paisley). The latter three all have impressive ultra performances on the trails and hills and are hoping to translate that onto the roads. There is a separate 50km event that incorporates the Scottish 50km road championships. 2 Responses to "Ultrarunners Head To Perth For British 100km Championships"
Abichal…thanks for this..it should be an inspiring weekend.. i Must confess to a slight error in the above. Emily, i have realised , already has 3 consecutive UK 100k titles(she won at Boddington in 2010 too) so is bidding for a 4th succesive 100km title ..and will she crack that elusive 8 hour barrier she has been so close to on 2-3 occasions. Thanks Tarit, I’ve updated the post.